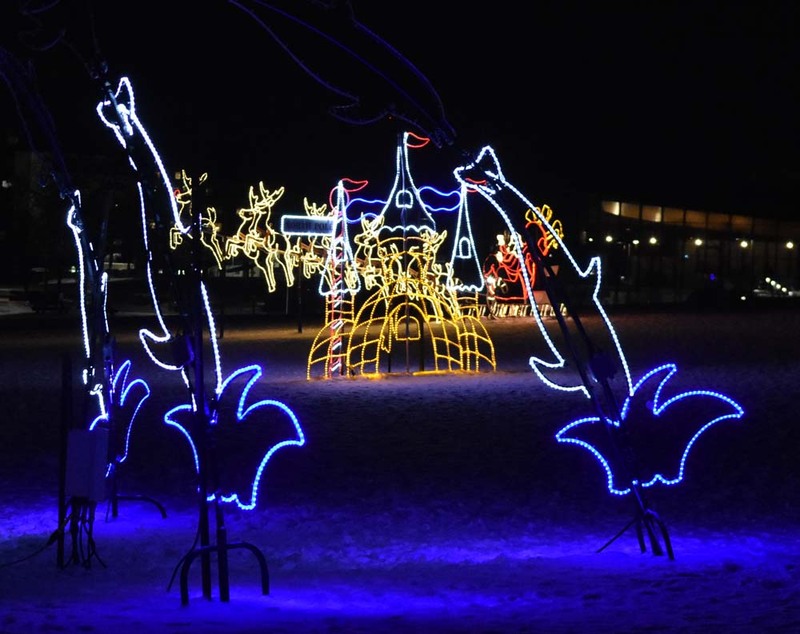 Festive displays of lights are in Spencer Smith Park which is down at the foot of Brant Street near the fancy pier. 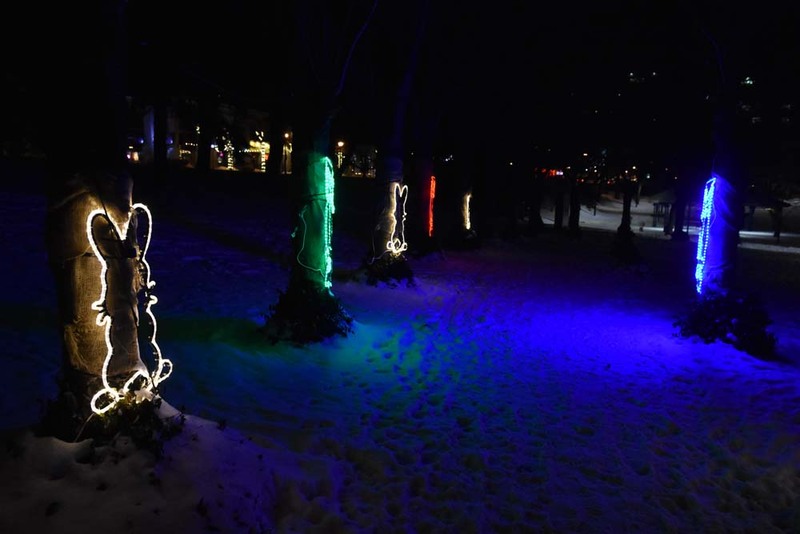 Entrance to the park is free and there is parking nearby so you can enjoy Burlington's longest running festival from dusk to dawn. 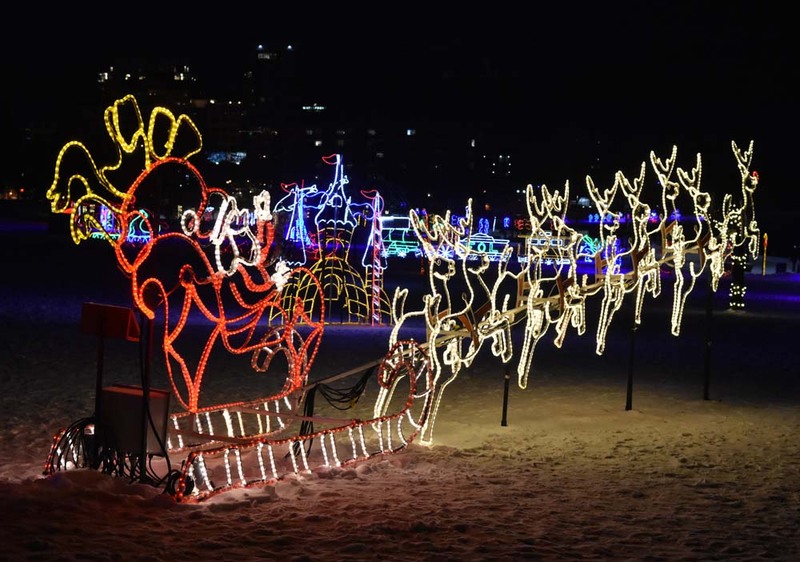 This is the 22nd year of the holiday lighting show which opens from December 1, 2017 to January 8, 2018 along the Lakeshore Road park. 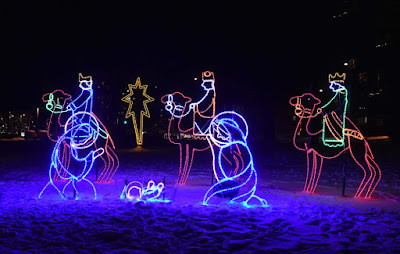 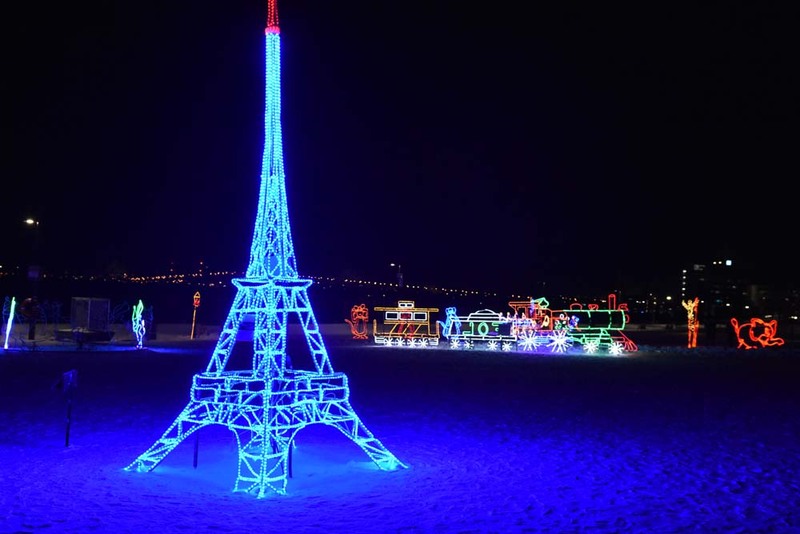 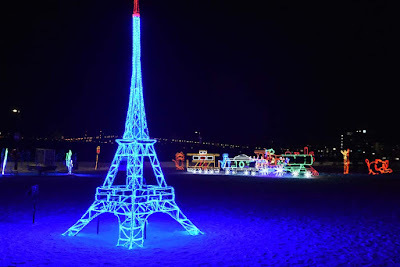 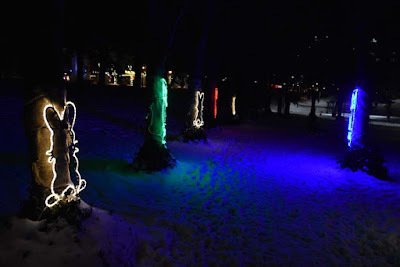 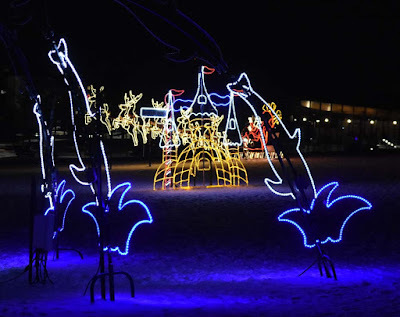 "Over 60 festive displays light up Burlington’s Spencer Smith Park through the holiday season. 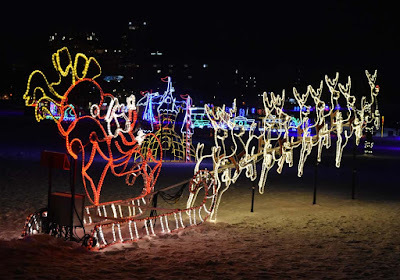 Wander through the park with family and friends, or get a full view of the themed displays while driving along Lakehshore Road at the city’s waterfront. 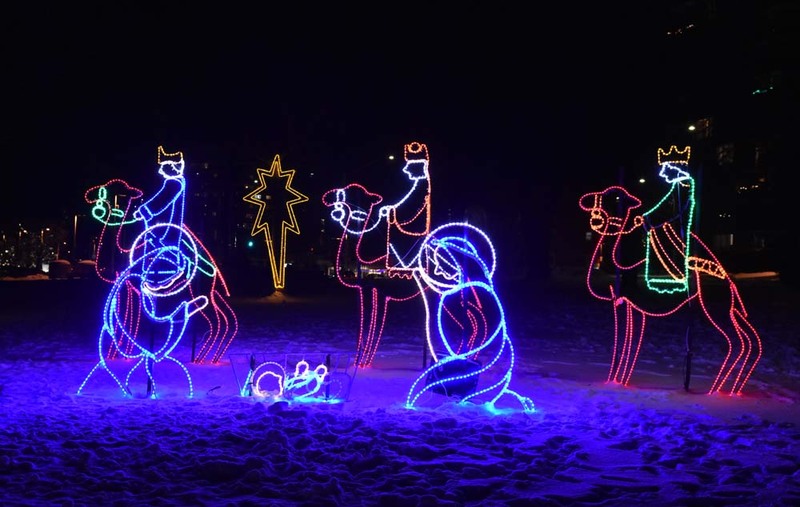 it’s a magical sight for the whole family, especially the young at heart."